If you want a career in which you can make people more comfortable with medical procedures, anesthesiology may be for you. By providing medication to patients, they are able to withstand surgeries and procedures to better their health and life. This is something to proud of, and a job that many nurses wish to seek. 1 What is a Nurse Anesthetist? Anesthetists work with patients in surgical, obstetrical, and trauma units in hospitals and other medical facilities. They provide care to patients who are receiving just about any type of medical intervention such as heart surgery and pain therapy. While many anesthetists work with patients alone, they collaborate with all medical staff. They work with doctors to come up with the best way to help patients with the medical procedures they need, and they work with nurses to understand the patients current care before, during, and after the doctor has helped them. Nursing anesthetists are busy people. They have many patients to care for, and they must document all of their treatment. Since nurse anesthetist jobs are challenging, the salary is one of the best in all of the nursing professions. In 2003, the average annual salary for anesthetists was 130,000. An anesthetist is responsible for a caseload of patients. 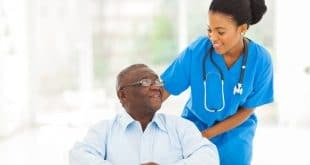 On a daily basis, the nurse must review the patients’ files, collaborate with medical staff, set up treatment, and then document everything they do with the patient and medical staff. Due to the large number of patients requiring anesthetists, nurses must often work long hours including nights, weekends, and holidays. Anesthetists can also be in charge of running workshops or training sessions to help other nurses care for patients who have just received anesthesia. These information sessions can be held as often as weekly or once a month. There may be medical staff meetings to discuss patients’ care as well. Anesthetists need to keep up to date on the latest research concerning anesthesiology and deliver new treatment options during the meetings. All nursing anesthetists must be licensed as an RN with a nursing related bachelor’s degree. They also must have at least one year of experience working in an acute care setting. Once these two requirements are met, nurses can enter one of the many nurse anesthetist programs available throughout the United States. 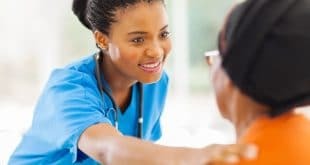 There are also a number of programs to offer a master of science in nursing online to gain even more classroom experience and education to further prepare you for a Nurse Anesthetist position. 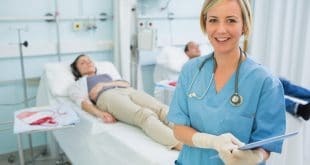 Nurse anesthetist schools offer a master’s degree in the field of anesthesiology, but before they are able to work as an anesthetist, they must pass the national certification exam. Once nurses become anesthetists, they must continue their education to remain certified. As of 2013, anesthetists must obtain at least 40 hours of continuing education credits, and request recertification every two years. The education and experience involved in becoming an anesthetist may seem long, but once you start working, you’ll be glad you did it. Working with patients helping them feel better is a rewarding job. You’ll leave every shift tired, but satisfied that you were able to provide people something they truly needed as part of their medical care.